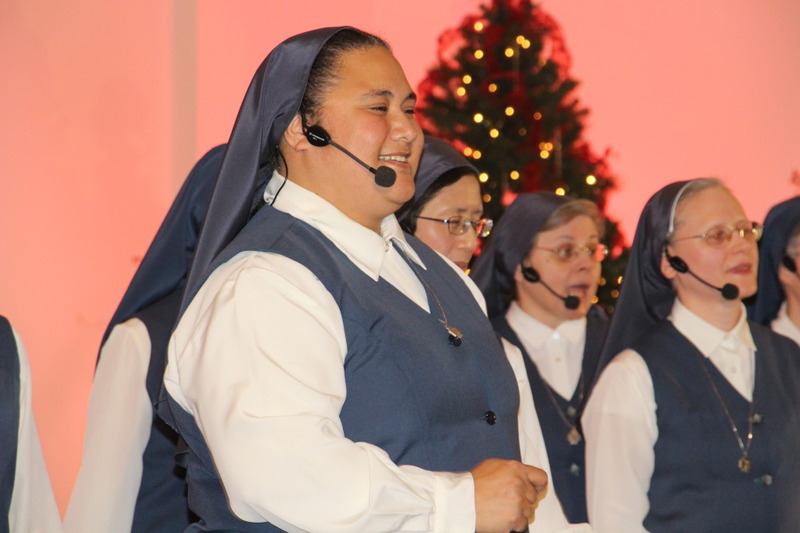 For over 20 years, the Sisters of the Daughters of St. Paul have been offering the communities they serve an amazing Christmas concert. 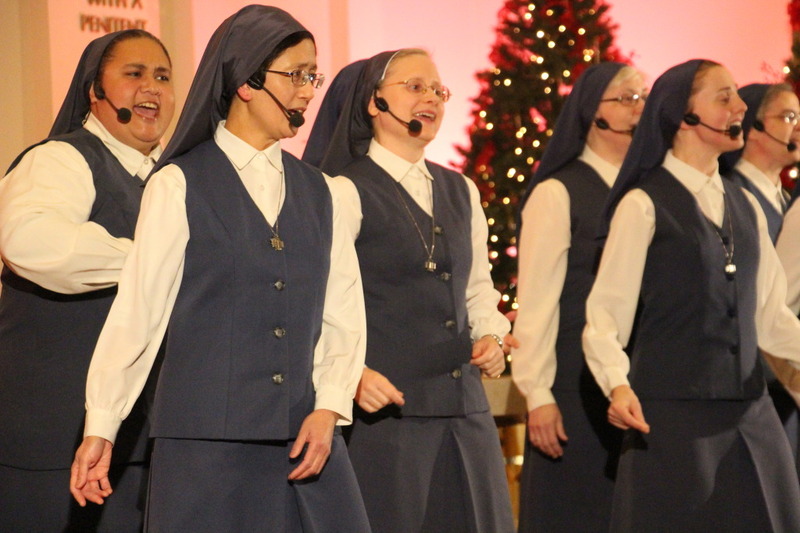 Every year they go on a tour around the country performing a beautiful Christmas concert. 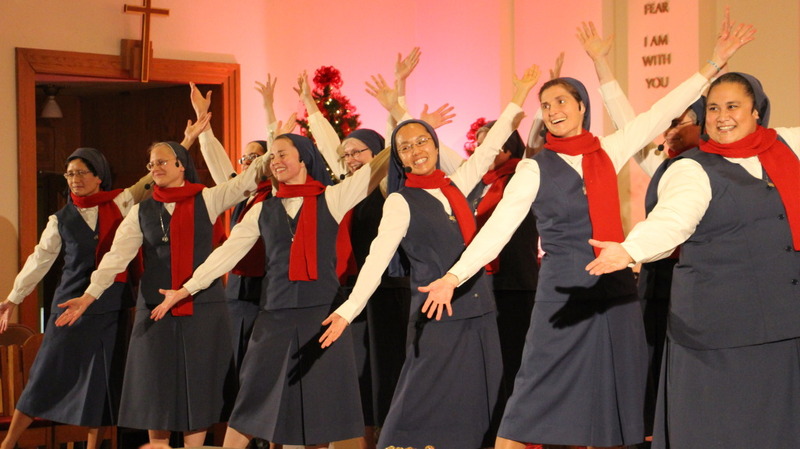 The theme of this year’s tour was “Joy to the World”. 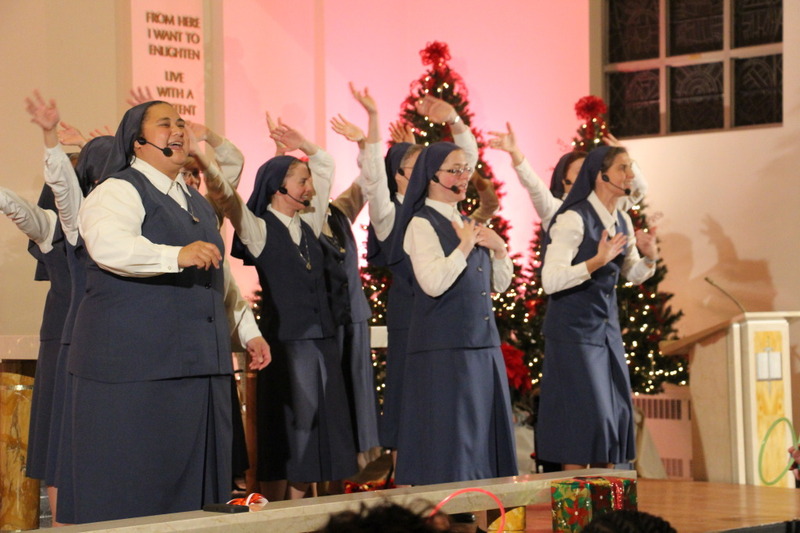 The concert is free of charge, and this past weekend, on December 13th, 2014, it was held at the Daughters of St. Paul convent in Jamaica Plain, MA. 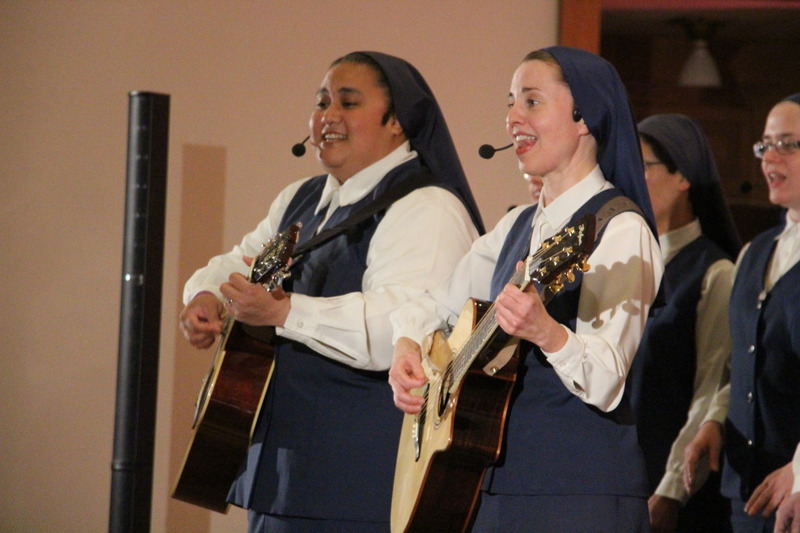 The Sisters performing were the following: Sr. Maria Kim Bui from Tempe, AR (stationed in San Antonio, TX), Sr. Sean Marie David Mayer from Miami, Florida (stationed in Boston, MA), Sr. Helena Burns from Belmont, MA (stationed in Toronto, Canada), Sr. Mary Marta Moss from Houma, LA (stationed in Boston, MA), Sr. Julia Mary Darrykamp from Lancaster, PA (stationed in Boston, MA), Sr. Fay Josephine from Samoa (stationed in Honolulu, HI), Sr. Tracey Matthia Dugas from South Louisiana (stationed in New Orleans, LA), Sr. Margaret Timothy Sato from Honolulu, HI (stationed in Boston, MA), Sr. Donna William Giaimo from St. Louis, MI (stationed in Boston, MA), Sr. Nancy Michael Usselmann from St. Louis, MI (stationed in Redwood City, CA), Sr. Edward Marie Smith from CA, Sr. Rebecca Marie Hoffart from Houston, TX (stationed in St. Louis, MI) and Sr. Bridget Charles Ellis from Oakland, CA (stationed in Boston, MA). 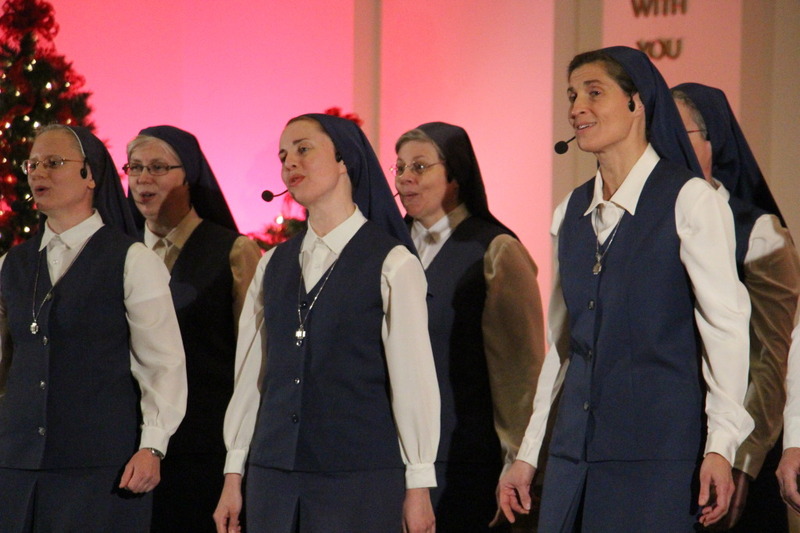 The Sisters put on a lively performance by singing classic Christmas songs and getting the audience’s participation. The concert was standing room only. 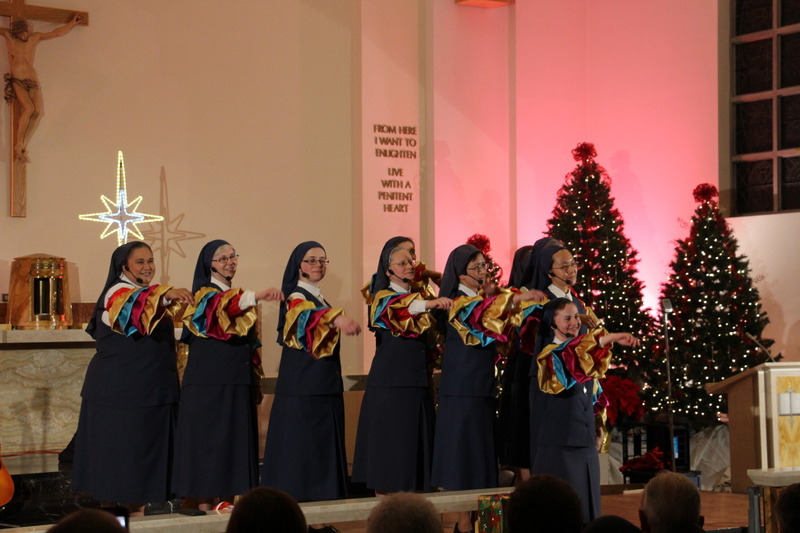 Some of the songs performed were: O Come All Ye Faithful; O Little Town of Bethlehem; Deck the Halls, It’s Christmas; Rockin’ Around the Christmas Tree; White Christmas, Mary’s Boy Child; Silent Night/I Need a Silent Night. 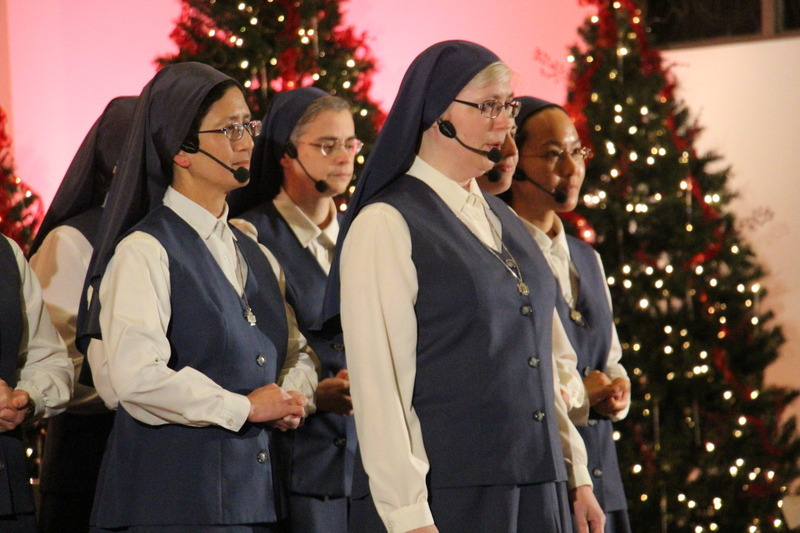 The concert also featured beautiful solos by some of the Sisters: Oh Holy Night and Gesu Bambino by Sr. Julia Darrenkamp, Perfect Christmas Night by Sr. Margaret Sato, Do You Hear What I Hear and Joy of the World by Sr. Fay Pele. 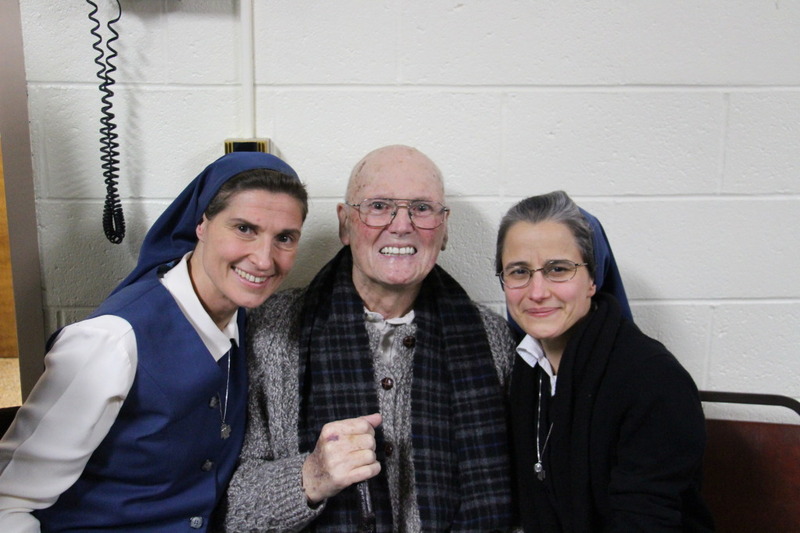 The Sisters also reenacted I will Follow Him from the Sisters Act movie with their own special touch. 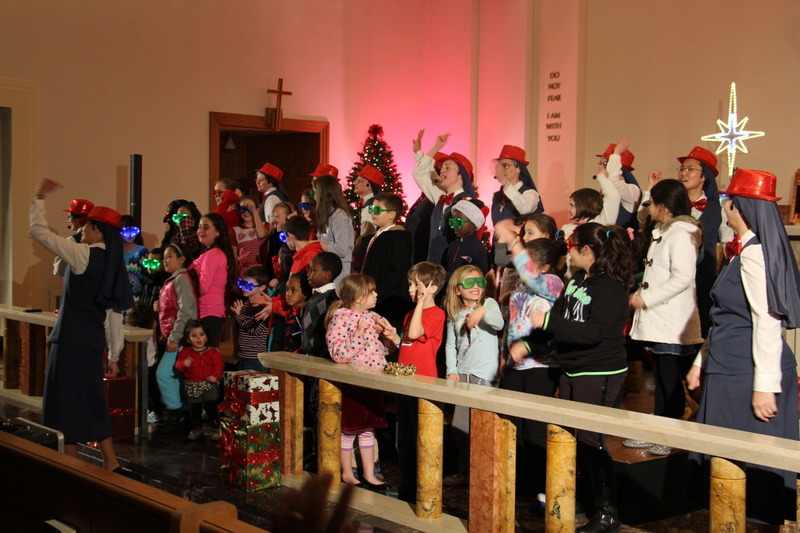 They sealed the night with We Need a Little Christmas, which they had the participation of all the children attending the concert. 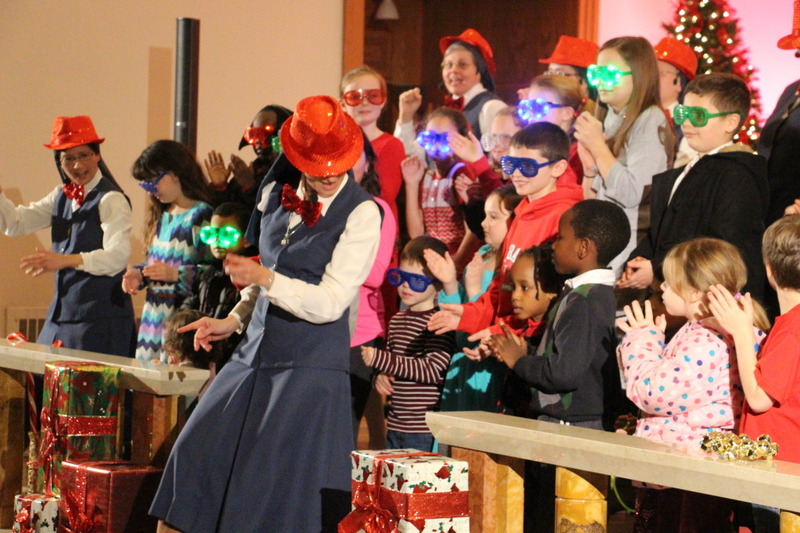 The kids danced alongside the Sisters, ending the concert in a very fun and special way. 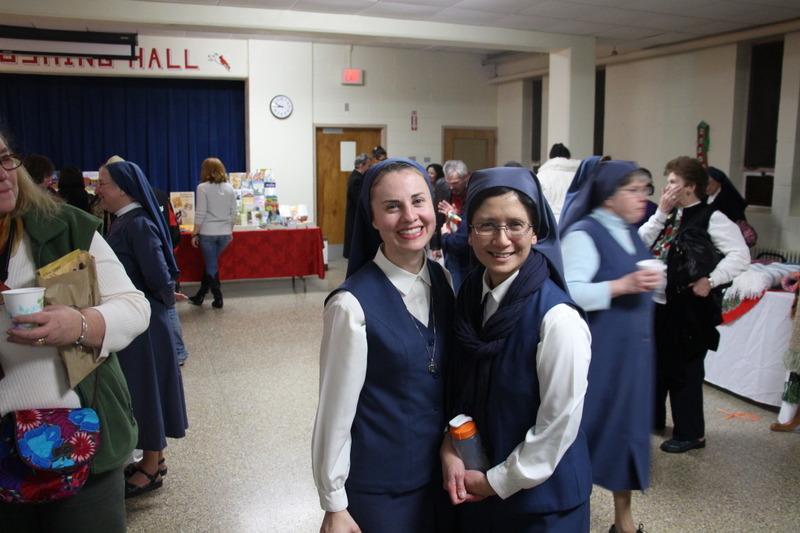 The Daughters of St. Paul’s concert was followed by a light reception where the audience had the opportunity to spend sometime with the Sisters. 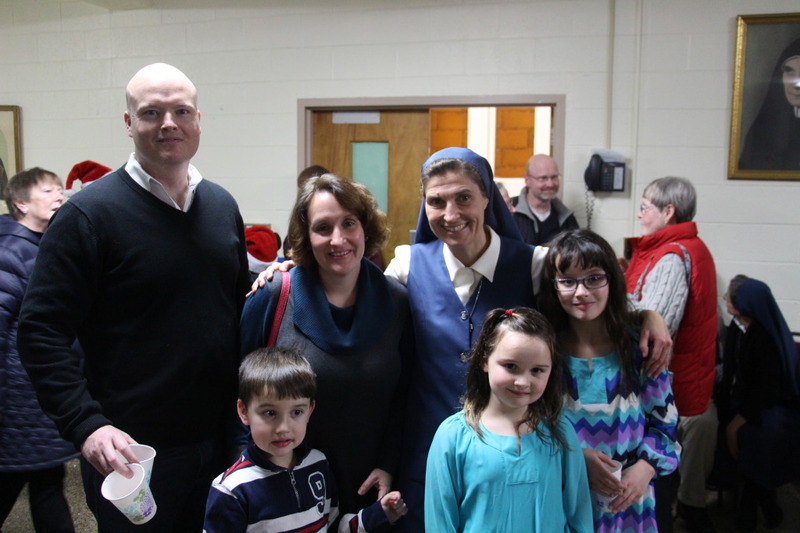 For more pictures of this special evening, please Click Here. 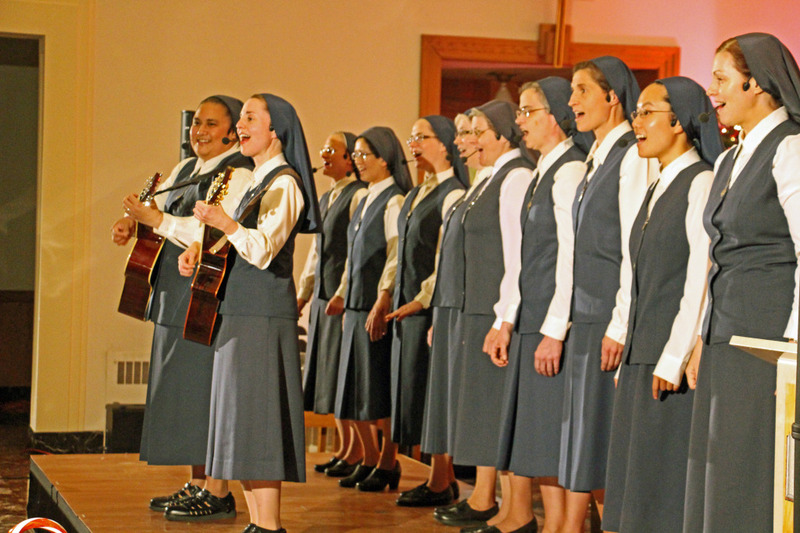 To watch a short clip of one of the songs the Sisters sang at the concert, Click here.